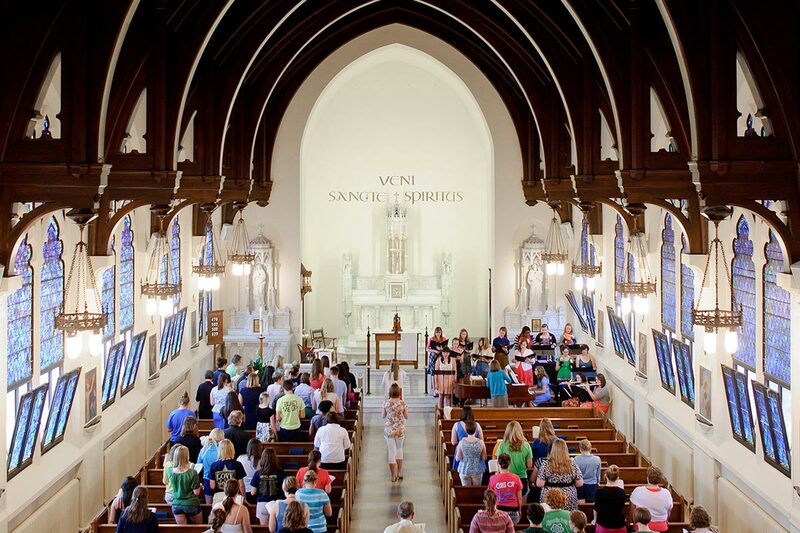 Saint Mary's students may take classes at the University of Notre Dame through the SMC/ND Co-Exchange Program. The instructions, procedures and guidelines are described below. Saint Mary's students who plan to take a course at ND must submit a SMC at ND Co-Exchange Form before leaving for Fall/Spring break to receive a priority registration time to register for a class during pre-registration. Students who do not submit the online form by this deadline, must complete the form above and wait until the first day of classes to register for a course at Notre Dame. You will receive an e-mail from the Notre Dame Registrar with your registration information to allow you to register on the first day of the semester at Notre Dame. You must submit a form EVERY SEMESTER you plan to take a course, even if you are currently taking a course at ND. If you are not sure whether you will take a class, you should still submit the form—there is no penalty if you do not take a class. ROTC and BAND students: You MUST register for ROTC and Band (this is not taken care of for you by ROTC or the Band instructor), so be sure to complete the SMC at ND Form in advance. Notre Dame students use the ND@SMC Co-Exchange Form. ND students must obtain the approval/signature of the SMC instructor on the ND Add form to add classes for the upcoming semester. Return the add form to the ND Office of the Registrar. The following guidelines will apply for all Saint Mary's students participating in the Co-Exchange Program. A student taking a course through the Co-Exchange program shall adhere to and be subject to the University of Notre Dame Academic Code of Honor or Academic Honesty Policy as it applies to that course. All Notre Dame courses are eligible in the Co-Exchange Program. All Sophia Program requirements must be completed on the SMC campus. SMC students who register for courses at Notre Dame are governed by the drop and withdrawal deadline dates at Saint Mary's. Students wishing to drop an ND course during the first week of class should do so through insideND. Students wishing to drop an ND course after the first week must use the eform available through insideND. If this is your last ND class dropped, you must complete the Separation from the University eform available through insideND. This does not exclude you from future ND course registrations. Department major requirements must be fulfilled at SMC. However, Notre Dame courses may be chosen from any subject area, including the student's major field with approval from the Department Chair. In the latter case, it is understood that the course will count as an elective . Students may elect one Notre Dame course per semester. Seniors may elect two Notre Dame courses per semester. Students enrolled in the Dual Degree engineering program are an exception. The student's advisor must approve any Notre Dame course.